Estate agents will in future have to hold a professional qualification and also be transparent about the referral fees they receive. The National Trading Standards Estate Agency Team (NTSEAT) will be tasked with proactively monitoring the disclosure of referral fees, and the Government will also look more closely at the case for banning referral fees. The measures were announced yesterday morning – just after midnight on Sunday, a timing cynics say is designed to put a housing minister on the Andrew Marr show. Despite much rhetoric yesterday, the Government has, however, stopped short of trying to use the law to prevent fall-throughs. There is to be no introduction of mandatory binding offers, and no legal clampdown on gazumping or gazundering, but agents will be encouraged to use voluntary “reservation agreements”. There will now be “behavioural insight research” carried out into reservation agreements, with the aim of trialling them by the end of this year. Home Information Packs will not be reintroduced – but the Government says: “Our long-term vision is of a system where all sellers provide search information up front”, and it also says it wants to explore the possibility of a ‘property log book’. An industry group, to be formed by the housing minister, will look into all the proposals. There is to be yet another consultation, this time specifically on the new mandatory qualification for estate agents, with housing secretary of state Sajid Javid seemingly convinced that someone’s ability to pass an exam will protect the public from rogues. Under the raft of changes announced yesterday, managing agents and freeholders will also have to provide up-to-date leasehold information for a set fee and to an agreed timetable. Industry regulator NTSEAT will be “strengthened” so that it can carry out more enforcement activity, including banning estate agents. Local authorities will also be affected, with a new timeline of just ten days in which to turn round searches. The announcement affecting sales and leasehold agents comes exactly one week after the one issued just after midnight on Easter Sunday, affecting letting agents. 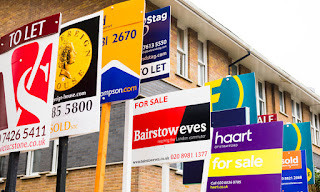 While there is very little detail in the latest announcement, the Government said that according to its own research, over six out of ten buyers and sellers have experienced stress when moving house, and about a quarter of sellers would use a different estate agent in future. It said that unnecessary financial and emotion stress contributed to over a quarter of sales falling through each year. Javid said: “Buying a home is one of the biggest and most important purchases someone will make in their life. “But for far too long buyers and sellers have been trapped in a stressful system full of delays and uncertainty. The government statement also quoted NAEA boss Mark Hayward who said: “We particularly welcome the commitment to further regulation. “We have long argued that estate agents should be recognised as professionals, this is an important step towards achieving this, and we look forward to working with the Government. Yesterday’s statement gave no details as to what the likely timeframe will be. The announcement followed last autumn’s call for evidence into the home buying and selling process, and was accompanied by a summary of responses to that as well as the Government’s own response. Over 1,200 responses were received, mostly (932) described as being from the public.